Things from the Flood is the second book from Simon Stålenhag, following on from his first, Tales from the Loop. 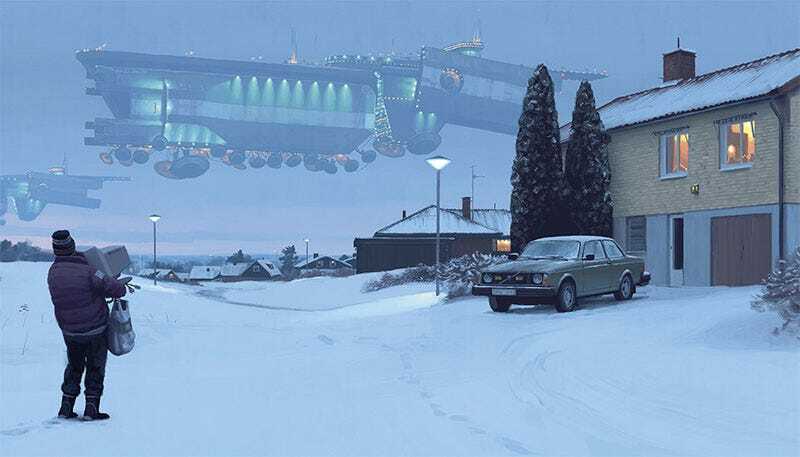 They’re collections of his beautiful artwork, which combines idyllic imagery from a Scandinavian childhood in the 80s and 90s with...aliens and mechs. We’ve featured Simon’s art here before, but the images below are from Things from the Flood, which is out in November for $50.